There is a perception that the Philadelphia Eagles are a team on the rise and the Green Bay Packers are a team in decline. But is that really true? Yes, the Eagles have played better than expected with a rookie QB to get to 5-5. 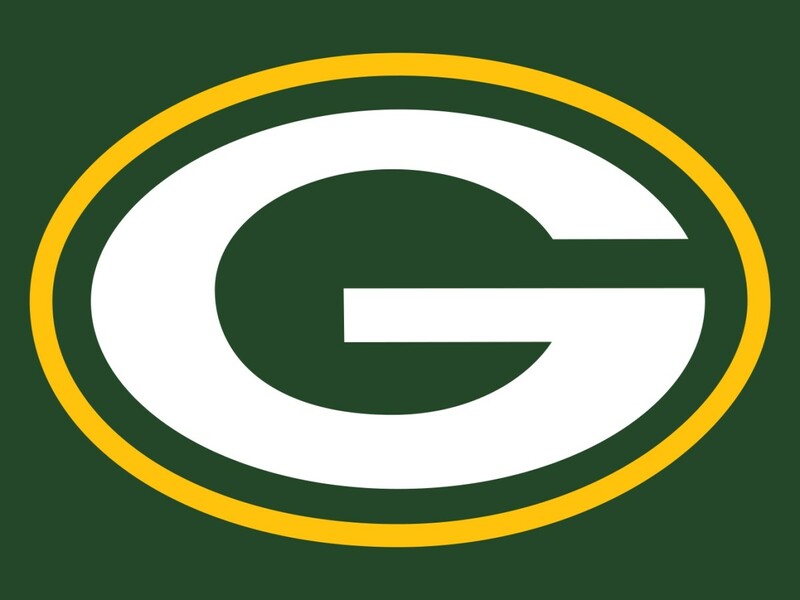 The Packers were expected to be a playoff team, as usual, but have stumbled out to a 4-6 record. But these teams are more similar than you might imagine. The Eagles have lost five of their last seven games, since a 3-0 start, while the Packers have lost four in a row, since a 4-2 start. Now the two teams meet on Monday Night Football needing a win to keep their playoff hopes alive. Let's take a look at the matchup. Carson Wentz hasn't looked great since his sizzling start in the first three games of the season. But a bad Green Bay defense and a home game, where the Eagles are 4-0, might be just the thing to get the rookie back on track. Wentz leads the 19th ranked offense (340.4 yards per game) and 26th ranked passing offense (222.1 ypg) against a Packers defense that is ranked 18th overall (356.7 ypg) and 23rd against the pass (265.6 ypg). The Eagles should be able to move the ball through the air against the Packers. 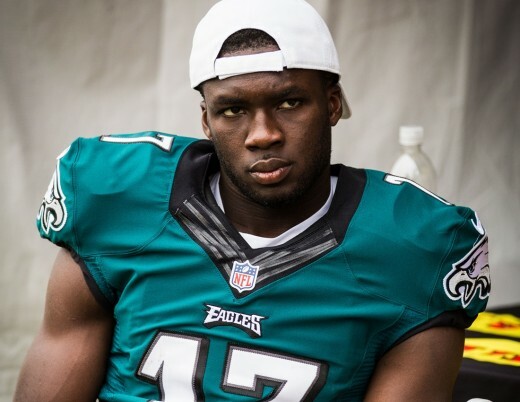 Eagles receiver Nelson Agholor might be benched after admitting that he's not right mentally after last week's loss in Seattle. Any other receiver in the NFL would be an upgrade, so consider this a good thing for the Eagles offense. Green Bay's best CB Sam Shields is on injured reserve, but they might be getting Damarious Randall back from a groin injury. WR Jordan Mathews and TE Zach Ertz should be able to exploit the suspect Packers secondary, where only safety Ha Ha Clinton-Dix is a legitimate starter. Green Bay has trouble covering TEs with safety Micah Hyde. 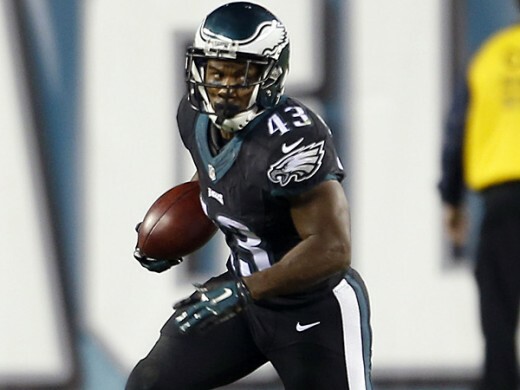 Eagles RB Ryan Mathews is out with a knee injury and Darren Sproles is playing with a broken rib. That means that rookie Wendell Smallwood will get the bulk of the carries, with Kenjon Barner mixing in for a few plays. The Eagles have the 6th ranked rushing attack (118.3 ypg) and that is with Mathews being in and out of the lineup all season. The Packers rank 6th against the run (91.1 ypg), but that might be due to the fact that teams are always trying to exploit the Packers suspect pass defense more than anything they do to stop the run. Green Bay ILB Blake Martinez is out with a knee injury and fellow ILB Jake Ryan is questionable with an ankle injury. Those two are the leading tackers on Green Bay, so they would be missed. The Packers don't generate much of a pass rush. 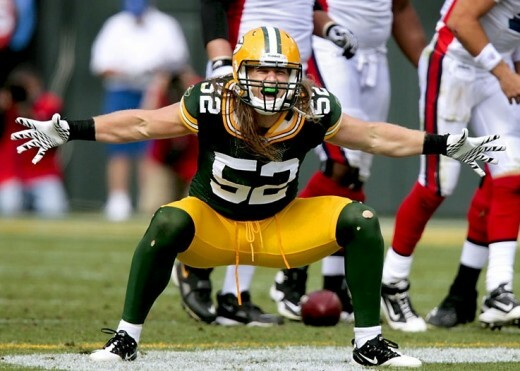 Some of that is due to the fact the OLB Clay Matthews has missed a few games. He came back last week and will be rushing against LT Jason Peters, who is back to having a Pro Bowl type season. On the other side, Alan Barbre is moving from LG to RT to replace Halapoulivaati Vaitai, who was replacing Lane Johnson. That will force Stefan Wisniewski into the starting lineup at LG. This is important because Green Bay's leading pass rusher is OLB Nick Perry, who will be lining up opposite Barbre. The Eagles may need to chip him with a TE or RB and pray Peters can handle Matthews himself. Everyone seems to think that Packers QB Aaron Rodgers is having a down season, but that's just not true. Sure, the five-time Pro Bowler, two-time NFL MVP and Super Bowl champ isn't the best QB in the NFL this year, but he is close. Rodgers has completed 63.2% of his passes and thrown for 2,761 yards with 25 TDs and 7 INTs, for a 96.0 passer rating. That puts him on pace for 4,418 yards, 40 TDs and 11 INTs. The 25 TDs are the second most in the NFL. The Packers have the 13th ranked offense (362.7 ypg) and 10th ranked passing offense. Meanwhile, the Eagles have the 8th ranked defense (334.6 ypg) and 9th ranked pass defense (228.9 ypg). The Packers WRs aren't setting any records, but they are a dangerous group. Jordy Nelson leads the receivers with 53 catches for 663 yards and a league-leading 9 TDs. Devante Adams, strangely also has 53 catches for 663 yards and Randall Cobb has 48 catches for 517 yards. The Eagles would kill for a receiver like any of those guys. The Packers also have a dangerous TE in Jared Cook. CB Leodis McKelvin will play after clearing the NFL's concussion protocol, but he is not having a good season. His backup, rookie Jalen Mills, spends more time wagging his stupid finger than actually breaking up passes. And safety Malcolm Jenkins will continue to have to play slot CB in the nickel defense, due to the dearth of CB talent on the roster. The Packers put RB Eddie Lacy on the IR last month with an ankle injury, so their leading rusher is James Starks, who has 100 yards rushing and is averaging 2.5 yards per carry. Their No. 19 rank in rushing (100.6 ypg) is greatly aided by Rodgers' 259 yards on the ground. The Packers rushing attack is so lame, Rodgers actually has the only three rushing TDs for the team all season. The Eagles 19th ranked rush defense (105.7 ypg) shouldn't have any trouble shutting down this group. The Packers offensive line is not good. The Eagles defensive line should dominate this group, but that's what everyone said about last week's game in Seattle and it never happened. DE Conor Barwin should be able to beat LT David Bakhtiari and the Packers are missing center JC Tretter and RG TJ Lang. That means that DT Fletcher Cox will be facing two backups all game. If he doesn't get at least a sack or two and stop the run consistently, he should be forced to start playing without his fat wallet in his pants after that huge contract he signed before the season. It seems to be slowing him down. The Eagles still have the best special teams in the entire NFL. Conversely, the Packers have some pretty bad special teams units. The Eagles are averaging an NFL-best 33.7 yards per kickoff return and the Packers are allowing and NFL-worst 30.5 yards per kickoff return. Darren Sproles is playing with a broken rib, but that won't impact his ability to field punts and possibly take one back for his first return TD of the year after getting two in each of the last two seasons. Ty Montgomery and Micah Hyde return kicks and punts respectively for the Packers, but neither is much of a threat. Eagles head coach Doug Pederson is making plenty of rookie mistakes in his first year running an NFL team. 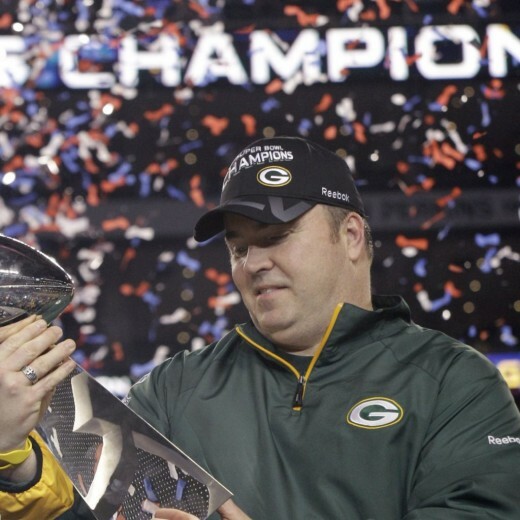 Packers coach Mike McCarthy has a Super Bowl ring. I'd say that's a distinct advantage for Green Bay. It makes absolutely no difference whatsoever that Pederson used to back up Brett Favre in Green Bay, but it is interesting that Aaron Rodgers took over Pederson's old locker when he was drafted. The Eagles are a perfect 4-0 at home and have shut down some explosive offenses, like Pittsburgh and Atlanta. They have allowed 18.6 points per game on the season, 4th best in the NFL. But they have only allowed 9.5 points in those four home games. The Eagles have a very real homefield advantage at Lincoln Financial Field this season and will need to take advantage of that again this week over another great offensive team. Having the fans wear black, for a "Blackout" won't really help, but I guess it will look cool on national TV. The Packers are 4-6 and haven't had a losing record or missed the playoffs since 2008. That makes them just as desperate as the Eagles. Both teams need this win to stay in the NFC playoff race. 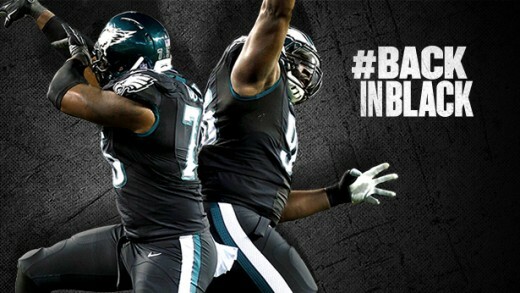 I think this one will be a shootout, in spite of the fact that the Eagles defense shuts down opponents at home. The Packers offense just has too many weapons and the Eagles defensive line can't be counted on to dominate the bad Packers offensive line like they should. Wentz will need to play his best game of the season to keep up with Rodgers and the Packers defense is just bad enough to allow him to do it.